Thirteen swimmers, 30 races, 19 PBs, 18 finals and 3 medals, all in the space of 11 days of racing at 2 separate National level meets! Amazing! The British Summer Championships at Ponds Forge International Pool in Sheffield saw Britain’s best youngsters battle it out for the National medals from 24-29 July. 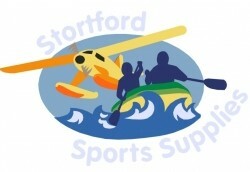 Only the top 24 swimmers in each event/age group who qualified during the event time window were invited to the Championships and this year six Stortford swimmers treated us to some amazing swims, with all six swimmers getting into at least one event final and ten PBs from fourteen races! Tom Ogden (14 years) started his championships with a 14th place in the 50m Back (Day 1), followed by 12th in 100m Back (Day 2), 17th in 100m fly on Day 4, and 6th in the 200m Back final on Day 6. Four superb PBs! Millie Fields (14 years) got to the finals of both her events, with 8th in the 200m free final (Day 1) and 6th (and a PB) in the 100m free final (Day 4). 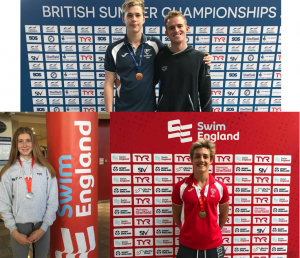 Henry Baker (15 years) got into all 3 finals and achieved 3 PBs, with a 4th in the 100m free final (Day 3), a fabulous 3rd place bronze medal in the 50m free final (Day 5) and 6th in 200m free final (Day 6). Bryn Couser (16 years) swam a PB, achieving 10th place in the 200m breaststroke final (Day 4). Mia Carter (16 years) started with a 21st place in the 100m back (Day 2) and finished on Day 5 with a 9th place in the 50m back final. Elinah Phillip (17-18 years) got a PB and 7th place in the 50m fly final (Day 2), and 5th in 50m free final (Day 3). 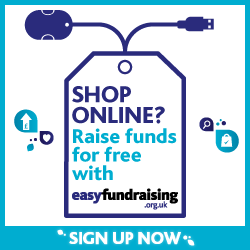 Swim England’s biggest domestic swimming event of the year was next in the schedule, taking place at the same location just 2 days later (31 Jul-4 Aug). The National Summer Meet invites the next 20 eligible swimmers from English affiliated clubs (or those who have chosen to be ranked as an English swimmer) to battle for medals. Millie, Bryn and Mia returned to Ponds Forge, along with seven other Stortford swimmers. Kaia Phillips was our newest and youngest competitor in the 12-13-year group and came 18th in the 50m back on Day 3. Millie (14 years) was getting PBs again, this time in 50m free where she got a 4th place in the final. Day 3 was a busy day with a 15th in the 400m free and a fabulous fight to secure a joint 2nd place silver medal in the 200m IM final (and a PB too!). Alex Catton (15 years) got a PB coming 13th in the 50m back (Day 3) and was 18th in the 100m back (Day 4). Nicholas Botha, Bryn Couser and Callum Harold were in action in the 16-year events. Both Bryn and Callum reached the 100m breaststroke final (Day 1) and both swam PBs coming 5th and 7th. Nick started with 12th and a PB in the 400 IM on Day 1, and battled to win the 200m breaststroke final (Day 2) with another great PB. Mia Carter (16 years) came 12th in the 50m free (Day 2) and got a PB and 7th place in the 50m fly final (Day 5). Daniel Chada (17 years) got two 12th place results in 50m back (Day 3) and 100m back (Day 4). Niamh James (17 years/over) came 8th in the 200m back final (Day 5). Robin Turner (18 years/over) got a PB and 6th place in the 200m breast final (Day 2). 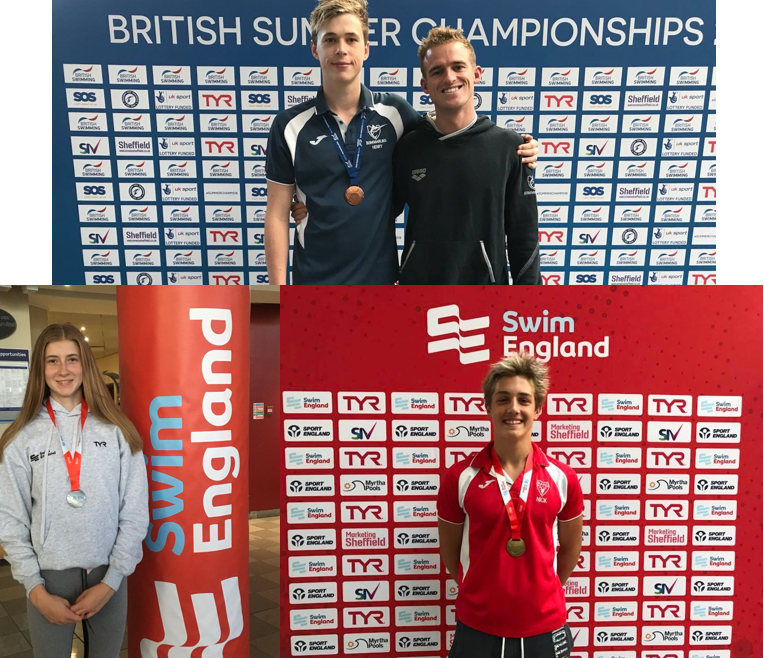 Huge congratulations to all swimmers who were selected, but a special mention must go to our three medallist’s – Henry, Millie & Nick!